Music can be one of the most important stylistic elements employed in helping establish the mood of a bar or a restaurant. And while it may seem like the licensing and permitting process that goes along with opening a bar or restaurant never ends, it is important to realize that the music you want to play in your establishment comes with a price tag as well. Just like the lighting, food and décor contribute to the ambiance of a restaurant or bar, so too does the music playing over the speakers. The artists who are responsible for creating these sounds deserve fair pay for the public performance of their music. Payment to artists is regulated by three major performing rights organizations. These organizations issue licenses for the right to play their artists’ songs. The three performing rights organizations that regulate “public performance” rights are the American Society of Composers, Authors and Publishers (“ASCAP”), Broadcast Music, Inc. (“BMI”) and the organization originally coined the Society of European Stage Authors and Composers (“SESAC”). ASCAP is regarded as the most popular performing rights organization, with BMI coming in second. SESAC was originally founded to serve European composers not adequately represented in the United States and has more of an international reach. To be safe, a restaurant owner should consider obtaining licenses from all three performing rights organizations to play a wide array of songs. 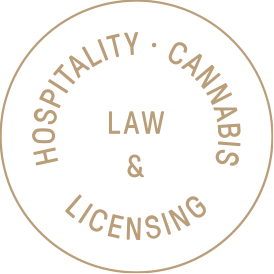 It is important to learn about obtaining licenses from these organizations before playing music in your restaurant. Performing rights organizations may conduct audits, where a representative will evaluate the music being played in an establishment firsthand and assess whether the establishment should have the requisite license. These audits can result in hefty fines. If you have questions about performing rights organizations or if you have received a ticket for not having the requisite license, call us today.